Hitachi has been identified as a global leader for its actions and strategies in response to climate change and has been awarded a position on The Climate "A" List by CDP, the international not-for-profit that drives sustainable economies. Thousands of companies submit annual climate disclosures to CDP for independent assessment against it scoring methodology. Hitachi is among 5% of the corporations participating in CDP's climate change program to be awarded a position in 113 "A Listers", in recognition of its actions to reduce emissions and mitigate climate change in the past reporting year. 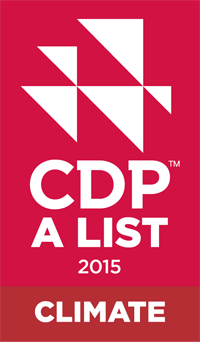 The Climate A List is released in CDP's annual global climate change report on November 4. With the environment as an important management focus, Hitachi is working to reduce the environmental burden of its business operations. Guided by Hitachi's Environmental Vision with three pillars, global warming prevention, resource conservation, and ecosystems preservation, Hitachi plans to work even harder to develop and popularize its environmentally conscious products and services, and helps achieve a sustainable society. CDP:CDP is an international, not-for-profit organization providing the global system for companies and cities to measure, disclose, manage and share vital environmental information. CDP works with market forces, including 822 institutional investors with assets of US$95 trillion, to motivate companies to disclose their impacts on the environment and natural resources and take action to reduce them.